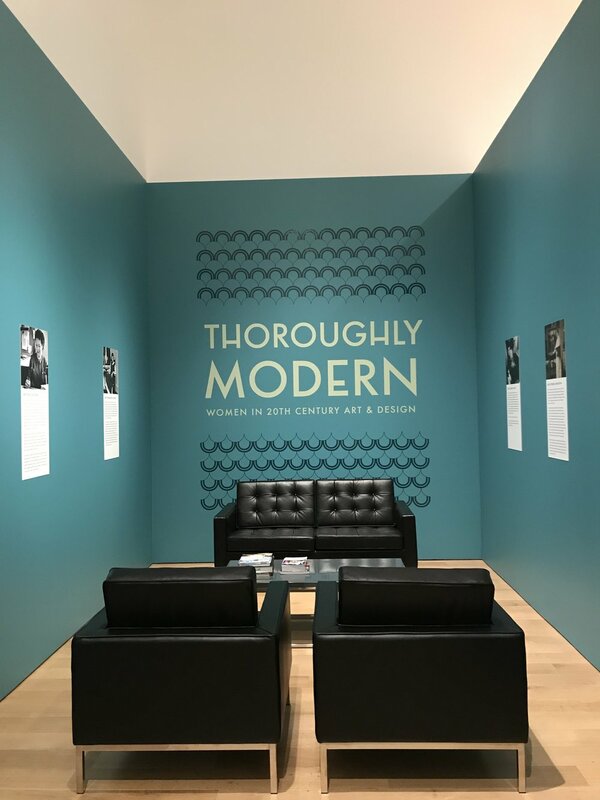 Thoroughly Modern: Women in 20th Century Art and Design at the Speed Art Museum showcases decorative arts and paintings by women artists around 1900–1960. 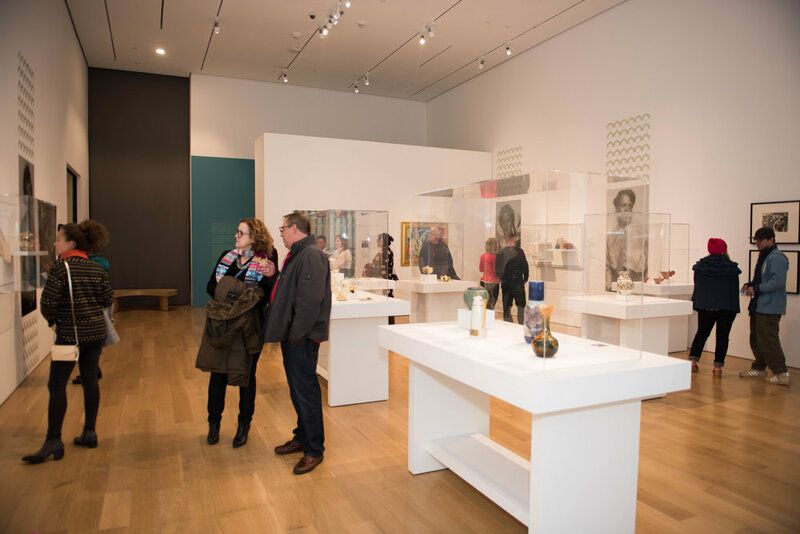 The content of the exhibition included art movements such as art deco, Bauhaus, and modernism. Drawing from the art deco style, the scallop pattern carries through the exhibition space. 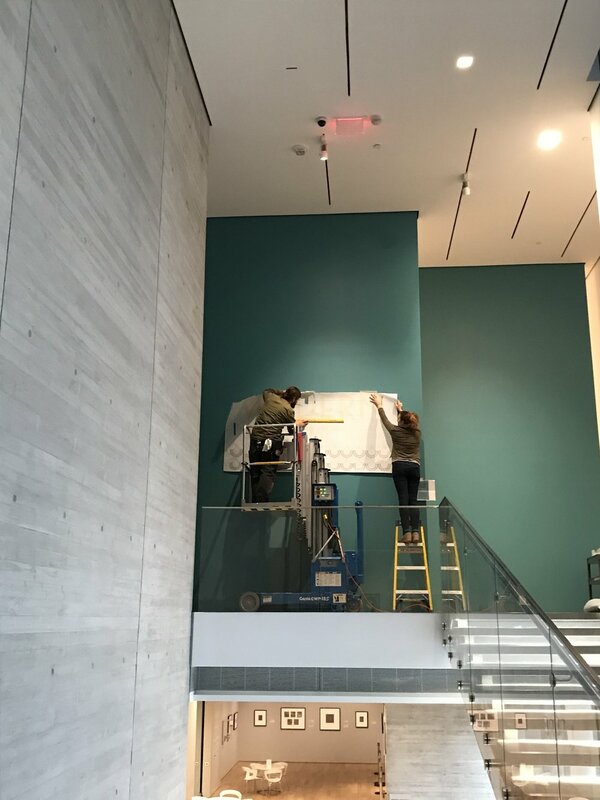 The main 18' title wall introduces the color scheme, inspired by one of the artworks in the exhibit, and begins the pattern and modified Futura that evoke a sense of "modern." Inside the exhibition, the pattern continues in large photo banners with images of some of the artists whose work is featured in the exhibition. The pattern avoids any stark divides between spaces, but also create some height visually in a relatively small gallery with high ceilings. The secondary title wall, visible from other galleries in the museum, repeats the same pattern and type treatment. The pattern draws you into this separate reading space which also features biographical panels about some artists in the exhibition.